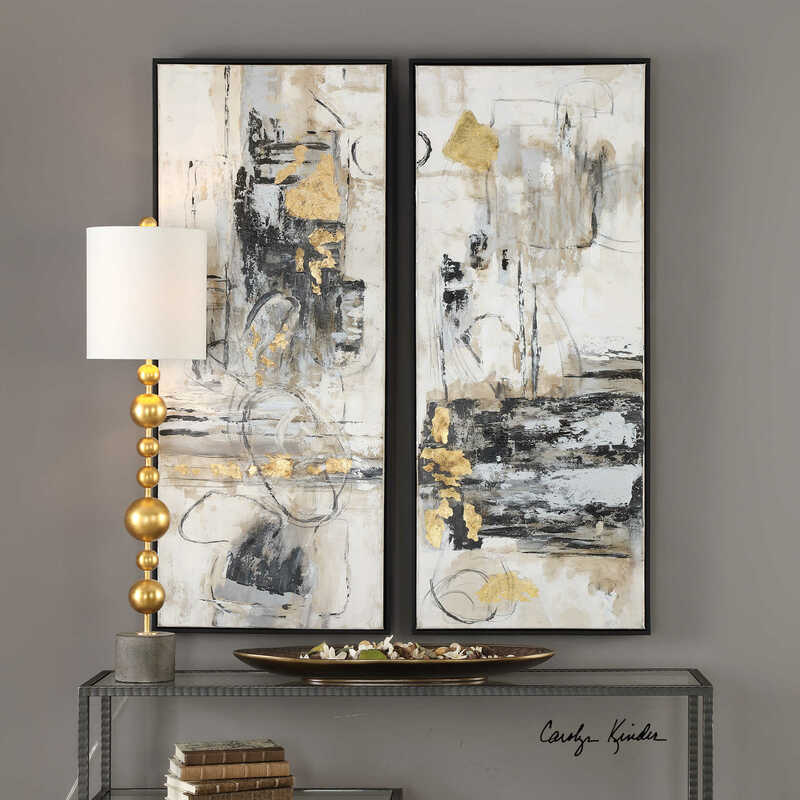 Designed by Carolyn Kinder International, Life Scenes is hand painted on canvas and stretched and attached to wooden stretching bars then encased in a thin, black satin gallery frame. Due to the handcrafted nature of this artwork, each piece may have subtle differences. Available to trade professionals at Uttermost.com. For retail purchase Google search term “Carolyn Kinder Life Scenes Wall Art”.